A download with visuals of my 55 favorite items to buy from Costco! Wondering what a dietitian mom buys at Costco? Get my extensive list of favorites with 55 of my top buys from Costco. 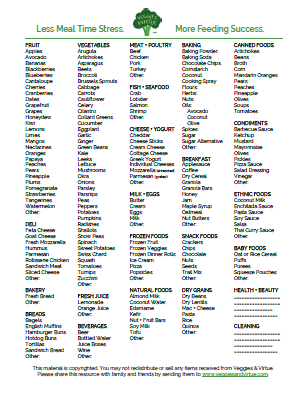 Use it as a guide for ideas when making your grocery list. Or, print it and use it to circle the items you need at the store with visuals of what to watch for when perusing the aisles! Note: seasonal items and fresh produce are not included on this guide due to varying availability and pricing on such products.